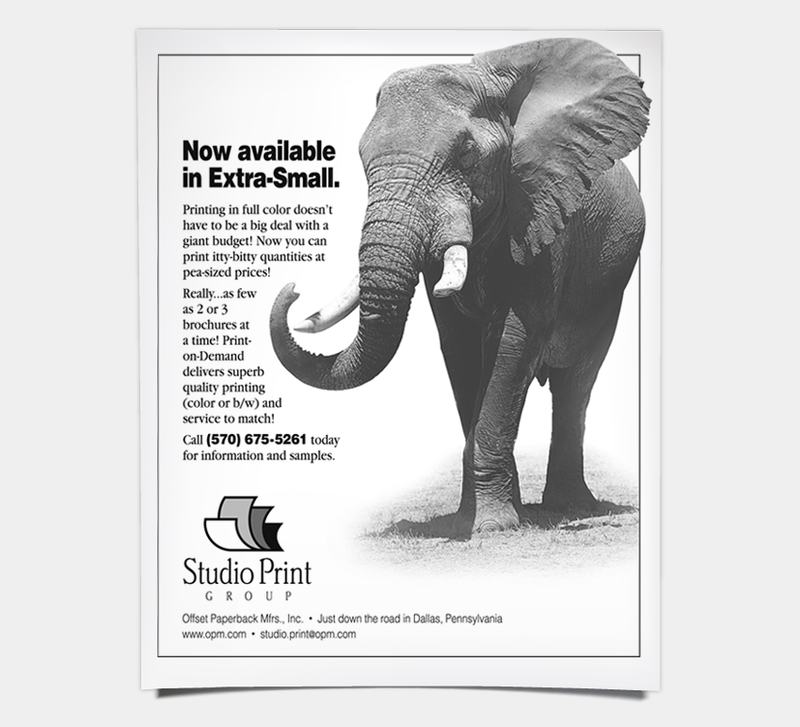 Most business people are familiar with the fact that just a few short years ago, full color printing was only cost-effective in large quantities. Even if 100 brochures would do, it was about the same price as 1,000. And so, you bought the bigger quantity. The unwanted 900 would then sit idly in a box on a dusty shelf ad remain there, a quiet, annoying waste of money. When short-run, digital printing first became available, an early investment in the promising new technology gave our printing client a competitive advantage. This print advertisement attracted attention and educated B2B prospects about the flexibility and cost-effectiveness of the new service.